Hello all! 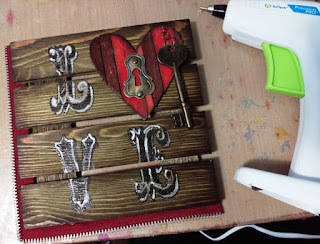 Today, I have a challenge project bestowed on me by The Crafty Scrapper, in which I needed to make a Valentine project using a Maya Road 6x6 inch wood palette. Thanks for having me Crafty Scrappers! 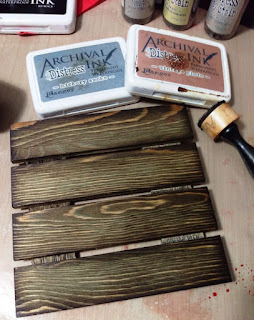 I misted the palette with Tim Holtz Weathered Wood (of course), Old Paper, and Pumice Stone Distress Ink Spray Stains from Ranger. Then I inked over the whole palette with Hickory Smoke Archival, and inked the edges with Vintage Photo. 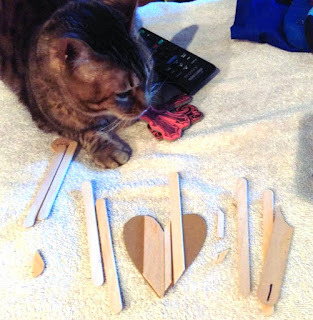 With help from my cat Roxy, I cut various widths of wooden sticks to fit on a chipboard heart, to fashion a smaller palette. I misted the sticks with different hues of red Distress Spray Stains. 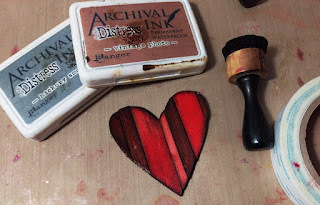 I used Skor Tape to adhere the sticks onto the heart, trimmed around it, and inked everything up. 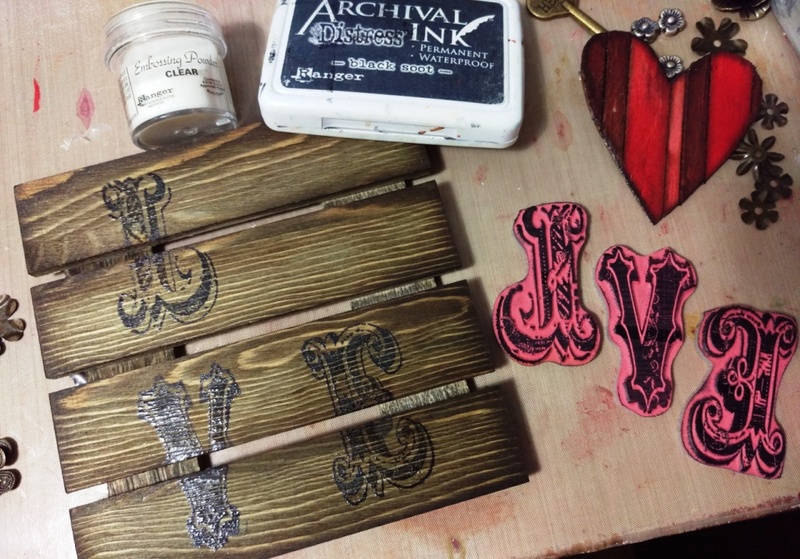 I stamped Tim's 'L', 'V', and 'E' Cirque Alphabet letters with Black Soot Archival, and heat embossed them with Clear Powder. 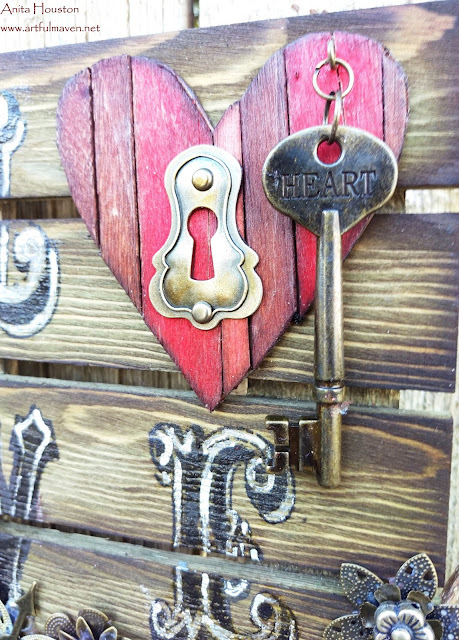 The heart serves as the 'O'. 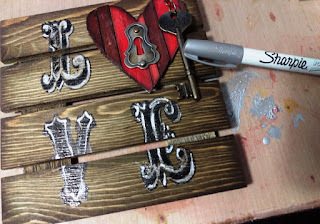 I colored in the openings of the letters with a silver Sharpie Marker, and then attached the key hole and key to the heart, before adhering it on. 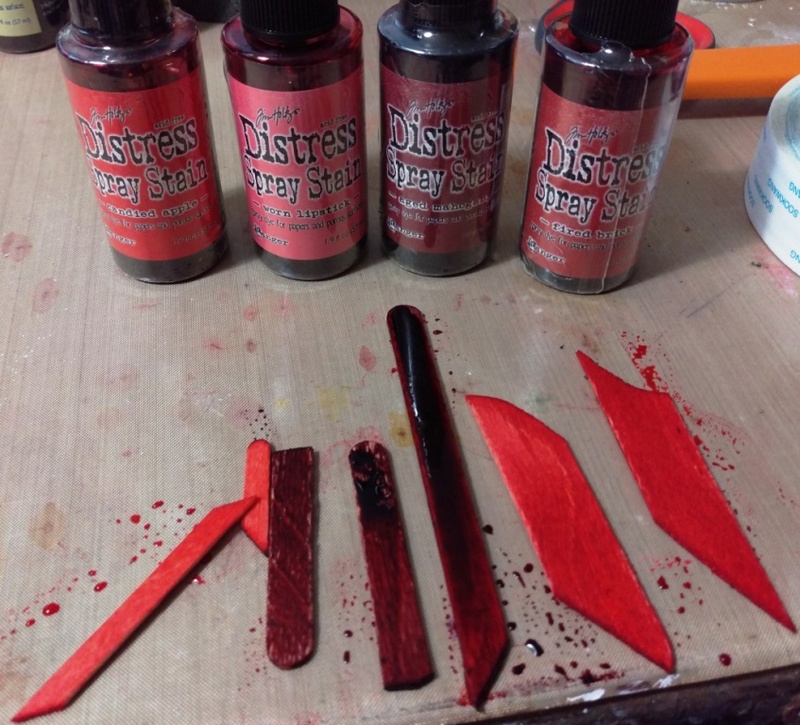 I hot glued the Maya Road zipper the left and bottom edges of the palette. 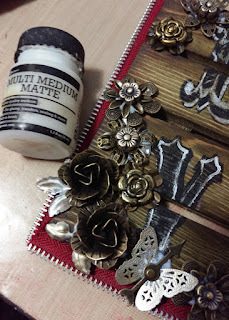 I gathered several Idea-ology foliage pieces and metal flowers and beads and adorned the rest of the palette. Anita! How fun is this project! I must get some of those little wooden pallets! 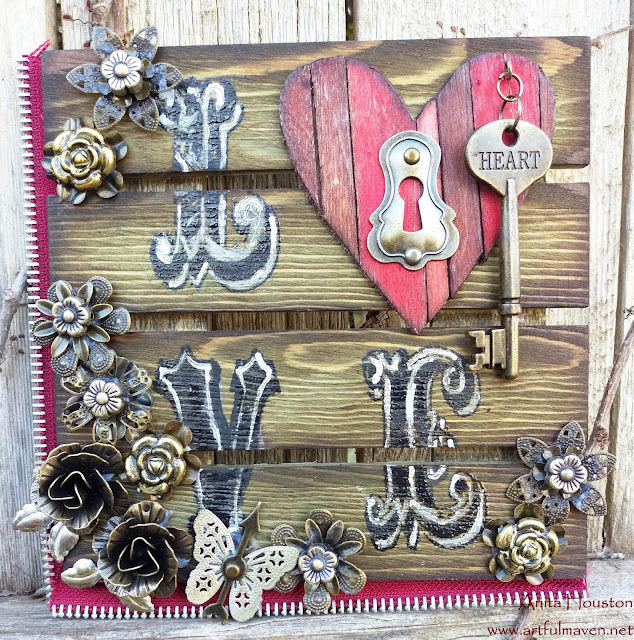 Those are a great background from the crafty scrapper! 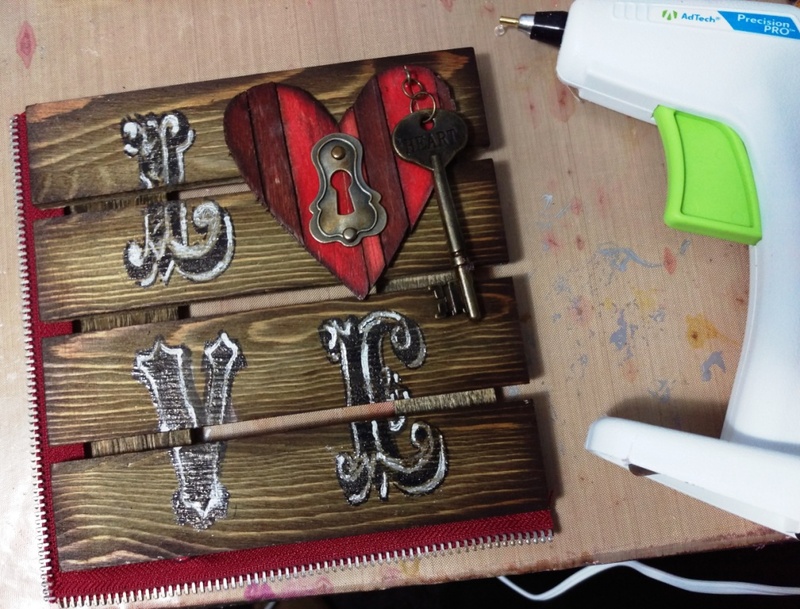 Great project girlie! This is incredible!! 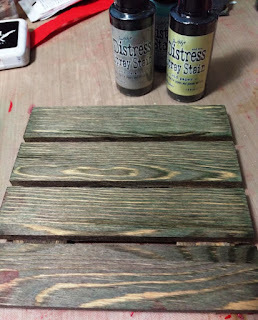 And a lady near me is making little pallets like that and selling them so I already had an order in for some! 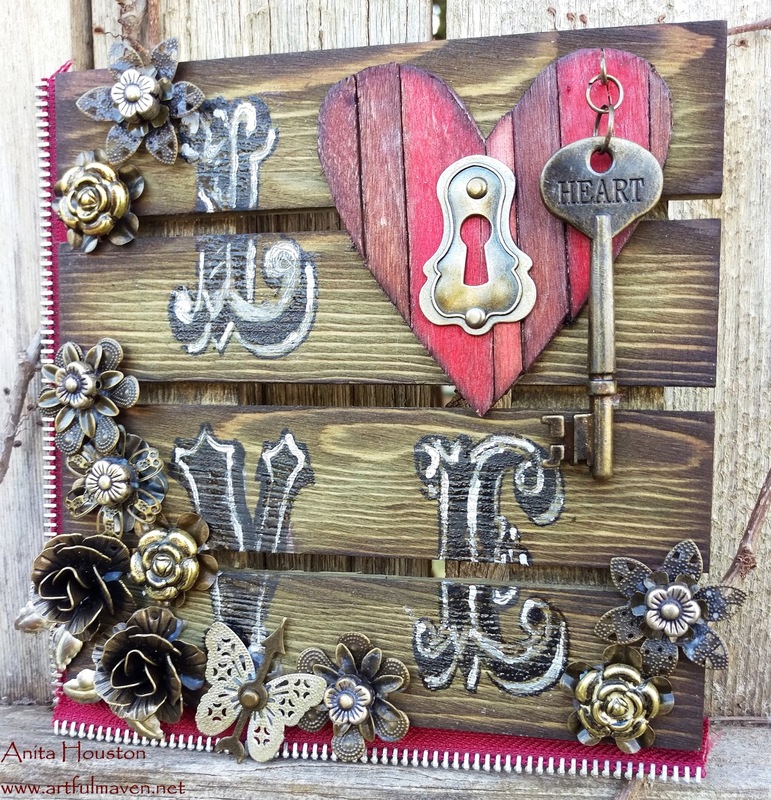 I really love the how you did the heart and I may just be stealing that idea! <3 So stunning! I love this! Can't wait to get home and make it. OMGosh this is one terrific project. 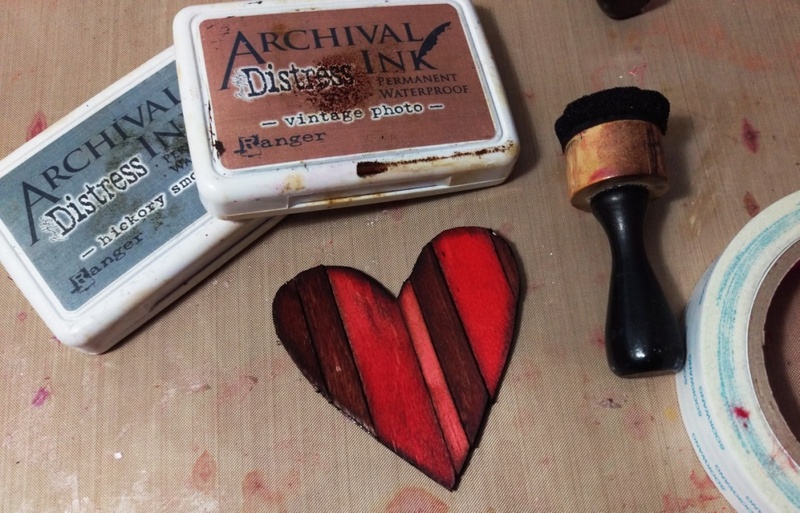 You used so many supplies and put them all together in the most pleasing way imaginable. Fantastic piece, the wooden base looks great. Oh my, I love that wood pallet - very cool and your wooden heart compliments it perfectly. 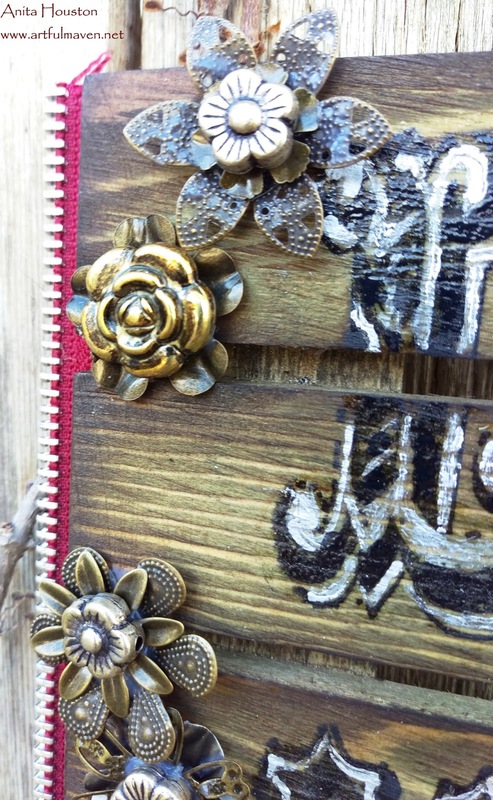 Yummy metals and the addition of the red zipper is so clever! Such a fun Valentine! the wooden heart is amazing!! 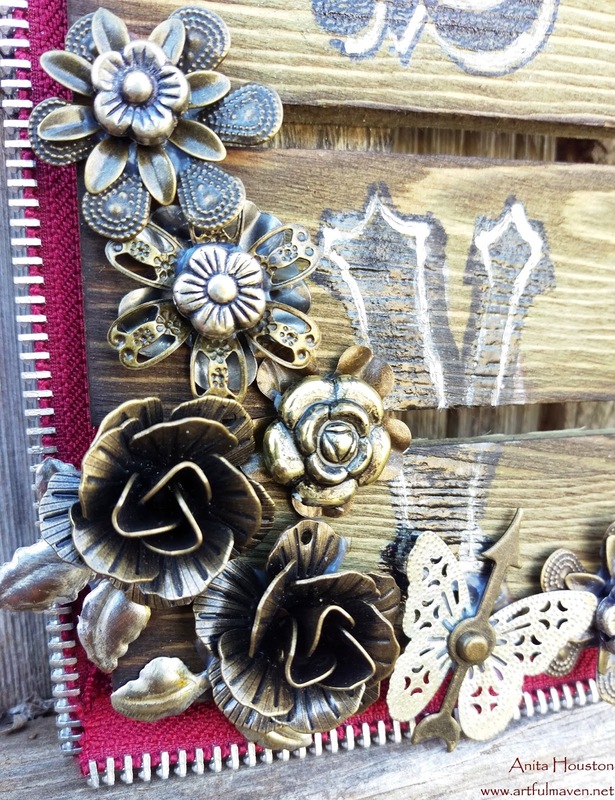 and the zipper accent a beauty of a touch... so creative!